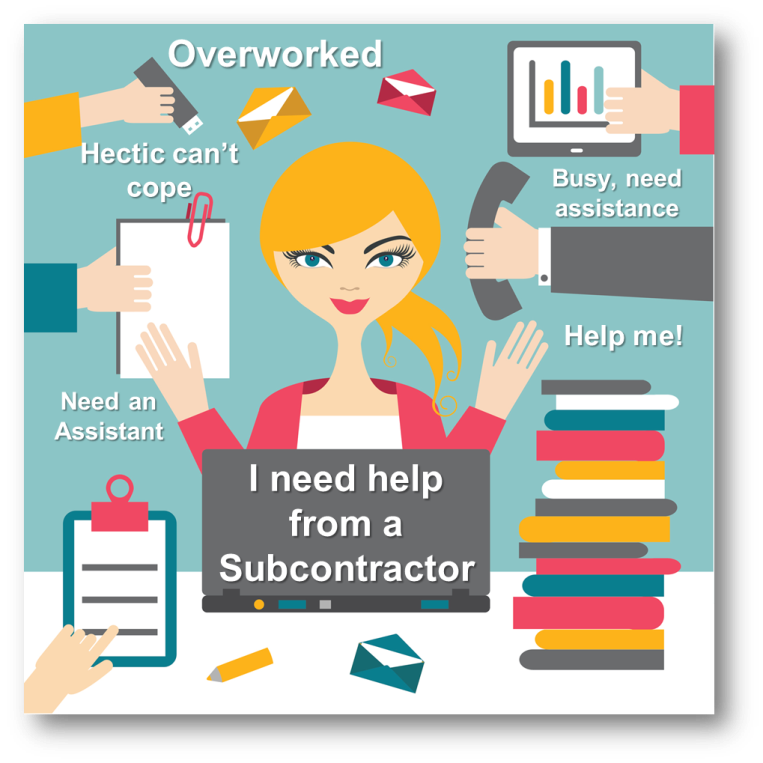 Transcriptionists and Virtual Assistants are using subcontractors. Often when VAs have work that is too large for them to do, or they are busy and need assistance with tasks, or they themselves cannot do the task, they will ask for assistance from subcontractors. For VAs who are newbie’s in this field, one of the best ways to learn about this business is to contract yourself out to other VAs. It is a great way to learn, and this gives you a good start in the industry as to how things work and the kinds of work that is available for you to do. But while you are contracting out to another VA don’t forget to still do marketing and networking for your own company/business. The aim must always be to get your own clients as you are running a business. You would want to earn your own money and not be paid subcontractor rates. When a Subcontractor works for a VA that VA is your client, you need to treat that VA as you would a real client. You keep in touch, you need to communicate about where you are with the work, and if you cannot cope with it, you communicate this with your VA and she/he can make a plan. Do not leave communication to the last minute when the work is due back, communicate within plenty of time ahead of that deadline so that the VA will have plenty of time to find alternative routes to get this work done and still meet there deadline, one reason is if you are no longer available to complete the task. Deadlines are important they can determine whether the VA keeps or loses their client. 1. The VA you are assisting is your client; they should be treated like clients. This is an important point to remember as often subcontractors don’t think of the VA as their clients. 2. Follow the VAs instructions to the letter; do not do your own thing. You are assisting another VA therefore you do as you are asked. 3. Proofread your work: the subcontractor must proof before sending back to the VA and then the VA must/should proof again before sending back to their client. We have experienced subcontractors who do not proof their work. 4. Make sure you get clear instructions from your client VA if they are not clear ask to repeat what the instructions are and ask for it to be sent to you in an email. 5. If for some reason you cannot complete your task on time, contact your client and let them know you are running late and ask can you extend your deadline, or ask for assistance. Also let your VA know if you have power failures, storms that mean you must switch off for a period of time, etc. as this can cause delays. 6. The VA must make sure she has all the contact details available for the subcontractor. Subcontractor, make sure your VA has all your contact details, be available on Skype, messenger, Cellphone, SMS, WhatsApp, Facebook chat etc. 7. If you cannot perform a task and you know you will not have it ready for the deadline, do not take on the work in the first place. 8. A subcontractor will earn in the region from 30% to 45% of the actual fee that your VAs, client pays them. 9. A subcontractor might have access to the client’s business information; you are not to abuse this information. A subcontractor can be sued for abusing client information. You cannot as a subcontractor, now that you have the details go and contact that client, this is a big no in the industry, and you could be sued for doing this, so please note this. 10. A Contract Agreement should be signed between VA and subcontractor to cover both parties in the event of things happening. The contract must state payment terms and conditions. It could be a good thing to place wording in the contract to cover the situation whereby the client does not pay the VA then the subcontractor cannot be paid, this situation should be covered in the contract so that the subcontractor will know what the procedure is, if no payment is forthcoming for the job/task. Often with large jobs clients are very slow in making the payment, this fault lays with the client not the VA. All the VA can do is to contact the client nonstop and keep reminding them of this payment. The VA must communicate to the subcontractor what payment terms will be with each job. 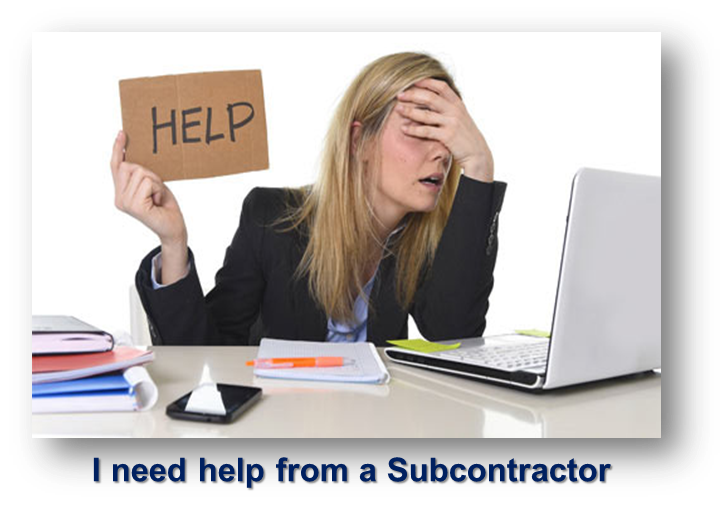 The subcontractor needs to know when they can expect to be paid. The norm is that when the client pays their invoice at the end of the job/task then the subcontractor will be paid their portion. Often there is a problem with payments as some clients will not pay immediately on receipt of invoice, this happens a lot, and it can be very often out of the VAs hands, all they can do in these circumstances is to keep contacting their client and asking for the payment. The only way is to pester the client no end, as payment is deserved upon receipt of the work and invoice. Again communication comes in here as the VA must let the subcontractors know when they are having problems retrieving payments from clients. Another thing that can be done to sort of help a bit with payments is to get a 50% to 75% deposit up front. You provide a rough estimate of your invoice and the client pays you before the job is started, work commences on payment of deposit. This is a good way to go with all new clients, there is no reason why this cannot be negotiated up front with your client, and it can be part of client liaison, terms, and conditions. Payment details must be worked out before any work is started. Do not just take the job on because the clients says it is urgent make sure you work out payment terms beforehand. Nothing is more urgent than your payment at the end of the day it’s all about money. Everyone at some time or another battles to get payments from clients, when it happens to me I just contact the client nonstop and use the means necessary to communicate. I have not taken other routes like small claims court which can be used in these circumstances. I have gone over and over on some points here, but it is because those points are important. If you enjoy reading my articles please share them on your social media platforms. Thank you for reading and sharing. Have a great day. Clients have tight deadlines, so to assist clients we need to know how long specific tasks take to complete and the client needs to know what is involved. If you have plain copy typing, (an example would be a book with just text), if you work full time you could probably do between 15 and 20 pages per day, single spacing, that is just the typing, at the end of the document you will also need to put it through a spell check, which takes a few minutes you then need to follow up with a check by yourself of reading through the text for any missed errors or mistakes (proofreading), this can take a while and needs to be added into the amount of time it takes to complete the task. Do not tell the client you can type 100 pages in a week (5 working days) because then you are leaving yourself with no proofing time, surely you need to proof and check your work before sending it back and this time must be featured in. Practice proofing so that you know how long it takes you, so that you can give the client a better idea of reaching their deadline or if the deadline needs to change to feature this in. 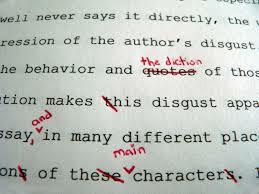 Proof read a page of text and with doing this you should be able to give the client an idea of how long your proofing takes. Transcribers normally give a client a time of a 1 hour transcription takes ± 3 to 6 hours to transcribe. 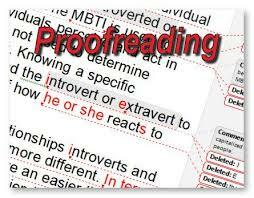 You also need to feature in proofing time as you need to check for sentence and paragraph construction as well as proofreading and spell checking. Data entry needs to be checked, it has to be checked for errors and checked that you have the information down correctly. Checking work has to be part of your time you build into your quotes. Often this is left out and by doing this we do not get paid for this part of the service. Make sure it’s featured as part of your standard terms and conditions. Every document you complete you need to proofread and check, it’s very unprofessional to send something back to the client without checking it and the client then finds errors. If you are using subcontractors to assist you, do not take it for granted that they will spell check and proof read their work, because often, they do not do this, it is your responsibility to make sure you do this before submitting the work back to the client. There is an alternative to hiring staff. With all the tumult of the world wide economy, there are more and more smaller business owners and entrepreneurs who have seen opportunities and grabbed them with both hands. However, one thing that most of them did not think of at the time when launching their business, was all that admin. Many small to medium sized business owners get bogged down with the day to day running of their office and do not get enough time to focus on what is really important – making their business grow, networking and seeing clients. Immediately there is the old school of thought that “ I have to employ someone but I cannot afford a full time person with the type of experience that is needed and I don’t have enough work to keep that person busy “. Yes, you can hire a temp but often you never get the same person and then you have to retrain each one. Where is the productivity in that? And you have to pay an agency fee. The alternative is here in South Africa and not many business owners know about it. It is the Virtual Assistant. Yes, that is correct. Nowadays everything is done via email; Skype and the internet so why not use a Virtual Assistant as well? A Virtual Assistant is a dream come true for small to medium size business owners. You would get a “secretary” with many years of experience that handles everything from answering the phone right up to sending out invoices and following up payments and only have to pay her for the hours she works. What are the benefits to the business owner? 1. Flexibility – available as and when needed. If you need 20 hours support one week but only 5 hours the following, a Virtual Assistant can do that. 2. Pay only for the hours worked – as a Virtual Assistant is dependant on referrals and regular work flow, it’s in their best interest to complete your work as timeously and efficiently as possible. A virtual Assistant will provide you with an experienced service at an hourly rate. 3. No need to pay employee taxes, benefits or office equipment – since a Virtual Assistant is not permanently employed, you don’t have to pay holidays, sick leave, maternity leave, taxes, training or even office equipment. A Virtual Assistant works remotely whenever you need her so you only pay for the work completed. No overheads as she will carry that herself. 4. Match your requirements with a specific skill set – if you are looking for someone to transcribe legal or general documentation, look after all the invoicing or have something more specific in mind such as project management, search for someone with that skills set. By working with someone who matches your specific business needs, means you don’t have to ‘make do’ with someone unqualified again. 5. No need to micro-manage – once you have delegated a project to your Virtual Assistant, you can focus entirely on other things safe in the knowledge that you willl receive the completed work back in time and error-free. 6. Never miss a deadline – like you, a Virtual Assistant runs a business. Your Virtual Assistant understands first-hand the importance of a good reputation. When you hand over work to your Virtual Assistant with a set deadline, that deadline will be met no matter what. 7. Care about your business – your Virtual Assistant will understand the highs and lows, stresses and worries of running a business. 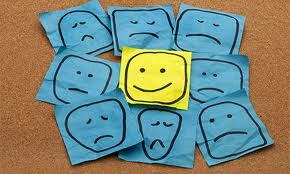 They can provide you with support from a business perspective as well as an individual task level. As your business grows, the likelihood is that so will your support requirements grow. By caring about your business and supporting you while you develop it further your Virtual Assistant will be your biggest support. She will have got to know your business and even use her initiative to help it along. The biggest benefit is working with a Virtual Assistant that you will become to trust and whom you can build a solid working relationship with. Once you have found that person, you will have all the support you need to keep your business ticking over and reaching new heights. For more information, contact Dee at info@dfm-virtualassistant.co.za or visit my website: www.dfm-virtualassistant.co.za. Are You A Virtual Assistant With Integrity? Regardless of where you are in the world, you can reach out to anyone within seconds nowadays and there are a lot of untruths about Virtual Assistants making the rounds, which is rather disheartening. Social media has opened so many doors for our industry, but they can close just as fast with tales being spun that can cause irreparable harm. Because of the way the world works now, more and more people are turning to an alternative source of income and those that are very good at being Secretaries and Personal Assistants, use their skills by opening up their own Virtual Assistant businesses from home. This is great for the industry but with so many newbies starting out, business and personal ethics sometimes flies right out of the window. Most veteran Virtual Assistants are very happy to help and point a newbie in the right direction, which is one of the wonderful things about our industry. But when these veteran Virtual Assistants get paid back by unethical newbies, it makes our industry suffer and nobody gains. Veteran Virtual Assistants will stop helping the newbies and then where will we be? The term VA is new to me! I never knew anything like it existed, but at the same time, it makes so much sense! I read about it for the first time in a magazine this weekend. It makes me feel like there is hope after all! I am in a complete “limbo” situation at the moment. 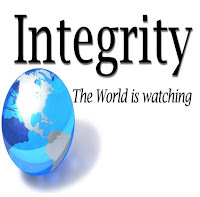 · never invested in property…. Trish Donmall owns Conor's Admin Services. Here she chats about running her business AND having children. I often hear people say that they want to work from home to spend more time with their children, then when they do they are discouraged as the “extra” time they have at home doesn't always turn into more family time. I know there are quite a few out there that will relate to this. Is the South African Market Ready for Virtual Assistants? Trawling the internet and making contact with experienced Virtual Assistants in South Africa has given me some insight as to what I would need and how to get my Virtual Assistant business started, but what no-one tells you is how challenging it can be to get the concept of a Virtual Assistant across to entrepreneurs, especially here in South Africa. In the US and UK, as well as the Far East, this concept has been around for many years and widely accepted. But in South Africa, very few businesses are aware of this phenomenon and so far there has only been very limited exposure and most of that has been word of mouth. I take my hat off to veteran Virtual Assistants like AlisonFourie and Gaynor Paynter. How they have managed to start off and keep going for 12 years, is astonishing. I attended the local Chamber of Commerce networking session yesterday, and during my little promotional speech, I was gobsmacked to see the ‘aha’ moment that happened with some entrepreneurs. Unfortunately many business owners are still under the misconception that if they have work, they need to employ someone permanently in a job and these people need to work in their office. Here is a challenge to all the Virtual Assistants that belong to this forum, get out there and tell people about this business and note the ‘aha’ moment. This entrepreneur might not need you, but you have now sold the idea to him/her and they could pass on this concept to others. The more we talk about it, the more popular it will become and everyone will be a winner. I am doing my bit, are you? Dee Matheson's ability to communicate with people from all walks of life, handle various tasks simultaneously and produce a top notch result timeously every time is what makes her a perfect Virtual Assistant. Small to medium sized businesses cannot always afford an efficient, professional and loyal person with 30+ years of experience, so her reliable, flexible and “can do” attitude is waiting to help you. Labels: Is the South African Market Ready for Virtual Assistants? I thought I would repost this article as I am getting quite a few requests coming in from students looking for assistance in typing their Assignments. 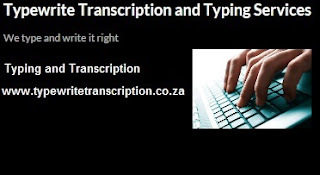 When typing for students the first thing you need, whether doing copy typing, formatting or transcribing student files is the student’s guidelines from their professors on what they want the document to look like/layout, formatting etc. Each student receives the guidelines before they start writing up assignments. Most students follow the Harvard Business methods and Academic writing methods with their assignements (there is copies of these documents in our Tavasa files online in our Yahoo group. University Professors are very fussy when it comes to references and students often get marked down on their referencing. You can assist your student by checking that the references at the end in the reference list, link back to references within the document. With each reference listed within the text there must be a final reference for it at the end of the document in the reference list. Wayne, S., Liden, R. & Sparrowe, R. (2000). An examination of the mediating role of psychological empowerment on the relations between the job, interpersonal relationships, work outcomes. Journal of Applied Psychology, 85:407-416. Put the book or journal title in italics the rest of the reference is not in italics. Your first page which is normally the student details, student number, title, the title page is normally not numbered, hidden number, your second page onward including table of content should be in roman numerals, then the page that your assignment, thesis, dissertation starts should be on the first page number 1, and carries on with ordinary page numbering. Any tables, figures, drawing within your document, must be listed underneath the reference list at the end of the document. Each table, figure, drawing within the document must be named underneath or above it, example, Table 1, Graph of Trends, Table 2, Three Hats etc. The same applies to appendices. Make sure you proof and grammar check the assignments etc. At the end of your typing always read through your work to make sure you have missed nothing and reading through gives the addition of proofing after doing a spell and grammar check. The one thing that I find it a hassle to use is Track Changes, I never seem to be able to switch it off and every time you open the document the track change come on, you then have to Review, and Final, this then closes Track Changes until the next time the document is opened. If you want to add anything to this article or have additional comments please email me at amftyping@mweb.co.za or alison@amftyping.co.za, or skype: amftyping. An interesting service to offer to clients is Internet Research. 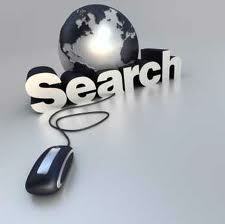 You will search for information on the Internet for clients. The types of clients who would use this information can be people who offer course/training material and require course information. Authors who need research for books they write. Students need research on subjects that they do their Masters, MBA, and PhD degrees for. There are many other people who also require research. A client will give you a subject that they need the research on and they will ask you to find specific data on that subject. My starting point when I do research is to start by doing a Google search on the topic/subject. Keep track of what you are doing; record the time you start to do your research and the time you finish. I normally take a few hours or more. Open a document and record everywhere you look, take a copy of the website URL address and place it in your document and if you find the information you need, you copy it into your document. If you find pdf information then you can usually send the pdf to your email address and then copy it into your document or forward it to your clients for their information. With doing Internet Research you have to sort of think like your client, get as much information as possible from them about what it is they really want, ask questions, show that you are interested in finding the information they require. I very rarely will spend under an hour doing research so therefore I charge my hourly rate when doing this; it can be charged in 15 to 20 minutes increments. Programs to record your information can be MS Word, Excel, PowerPoint, and OneNote. It is very time consuming doing research, I normally will do a few hours, and then if I come up with nothing which does happen I take a break and then start again later. It is pointless going on if you are not finding the information you need, take a break and start again. • Go into Google, press more, then press even more, then go into Scholar. This is where you will search for articles on the subjects that your student is writing their thesis/assignment/dissertation etc. • Copy information you find into your word document also coping your website URL address. • With student research and finding articles you must make sure you copy the article references as this will be used within their thesis/assignments etc. Some articles can be copied, some are available in pdf format, and you can send these to yourself and your student in email format. There is often always a link with pdf articles to send via email. • Here is an example of the referencing that you must make sure you copy with any articles you take with your research. This reference will be placed in the reference listing: Treux, D. (1996). Qualitative research method panel: The merits of three qualitative research methods, discourse analysis. Georgia: Georgia State University. This reference will be placed in the reference listing: Van der Reit, M. & Boettiger, M. (2009). Shifting research dynamics: Addressing power and maximising participation through participatory research techniques in participatory research. South African Journal of Psychology, 39(1):1-18. Written 4th November © Copyright 2012 AMF Typing Services/Tavasa. All rights reserved. 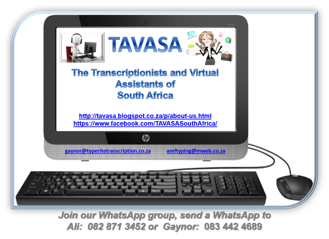 Welcome to the blog for Transcriptionists and Virtual Assistants of South Africa! We hope you find it very informative here. © Copyright 2018, Tavasa. All rights reserved.. Simple theme. Theme images by loops7. Powered by Blogger.